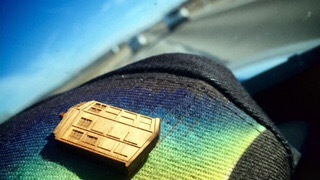 I’m takin the #TARDIS and I’m outta here! For a short while anyway! Have a happy and safe holiday season! I will be spending Friday, December 18–Monday, December 28th with family. Any orders placed during that time will be processed after I return. 2016 is going to be great! I have some big things planned and cannot wait to roll them out! Thank you for coming along with me on this awesome ride!